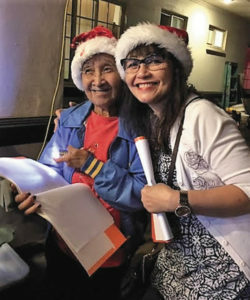 Lydia Coloma and Clarita Dela Cruz caroling. The holiday season has come quickly and rather quietly in my family. No out-of-town visitors expected this year. We had a small intimate Thanksgiving dinner gathering with simply my mother, my sister, her ex-husband/buddy, my wife, and Makalapua, our new Chug puppy. I heated up some Costco ham (lightly honey glazed) and roasted turkey breast, baked half a salmon filet with pesto and the other half with butter pepper and mushrooms, candied some Molokai sweet potatoes, and mixed up one brown gravy. My spouse steamed some sweet corn-on-the-cob, generously slathered with butter and lightly dusted with ‘alaea salt. My mom brought the steamed rice and utong (no traditional fare like curry, pansit, spaghetti with hotdogs, or cancanen). We finished with a slice or so of pumpkin, custard or apple pie topped with a scoop of ice cream if wanted. Carolers from Good Shepherd Episcopal Church (left) dressed in red before caroling. I’m one of those who like the Christmas holidays. 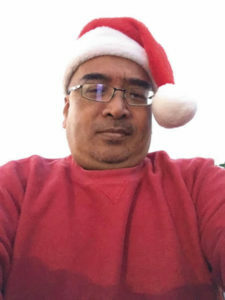 Recognizing my spouse (a cradle Episcopalian from Texas) still doesn’t buy my argument that Filipinos play carols early because the Christmas season in the motherland begins in Autumn, I put on earphones in adaptive cultural practice— enjoying yuletide music in any month ending in “‘ber”. In my wife’s view, people should follow the holidays in proper seasonal sequence. She was nevertheless amused when my mother left the Christmas lights up on her house for an entire year. My mom strung up Christmas lights on the front yard foliage and eaves of my childhood home in Kahului as soon as the turkey was eaten. Family traditions remain at the heart of the holidays. 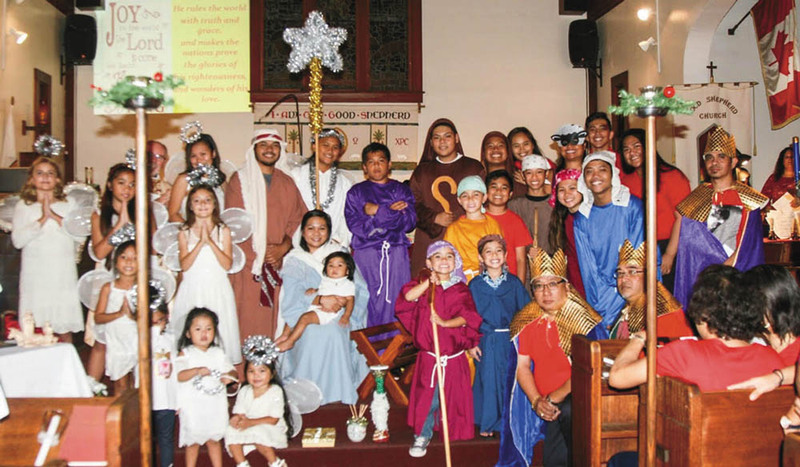 We likely will attend the Christmas Pageant put on by the children of the Good Shepherd Episcopal Parish and a Carol Sing and Midnight Mass on Christmas Eve. 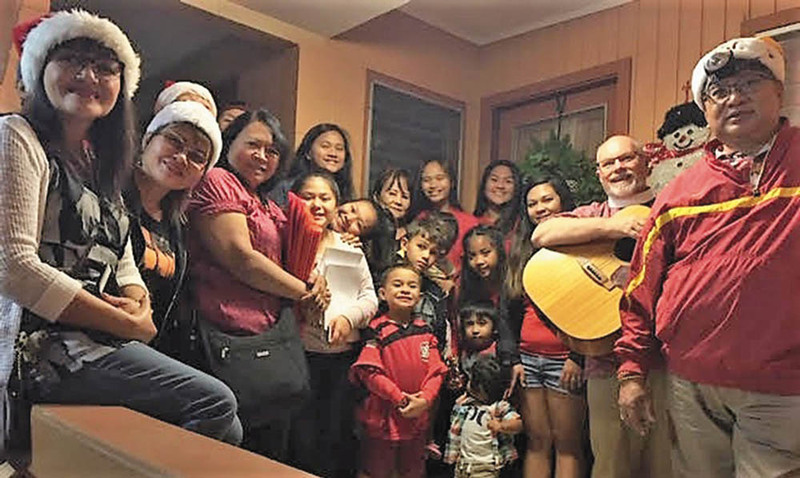 When the kids are home from college, the Parish Youth usually does some caroling Upcountry and in Central Maui. 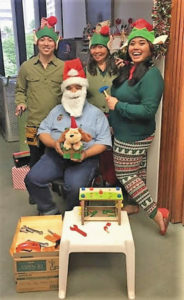 Filipinos, I think, simply get into all-things Christmas. As kids in Pā‘ia, we had Cook Pine Christmas trees decorated with bright balls and tinsel. My grandfather would make parols from bamboo, twine and colored crêpe paper. Doris Todd, where I attended elementary school in Pā‘ia, would put on an annual Christmas Program—I still recall the tour de force turned in by teacher Leta Carpenter as the Grinch Who Stole Christmas. 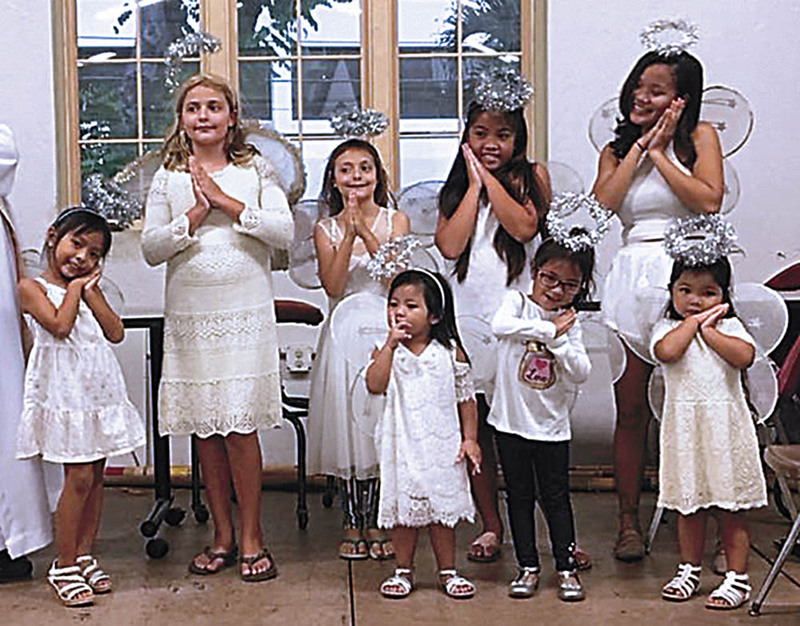 Good Shepherd youth annually presents a Christmas pageant. Let’s hope as 2018 comes to a close that we take time for family and friends and those less fortunate, suffering or grieving during the holiday season. Gilbert S.C. Keith-Agaran practices law in Wailuku and represents Central Maui in the Hawai‘i State Senate.